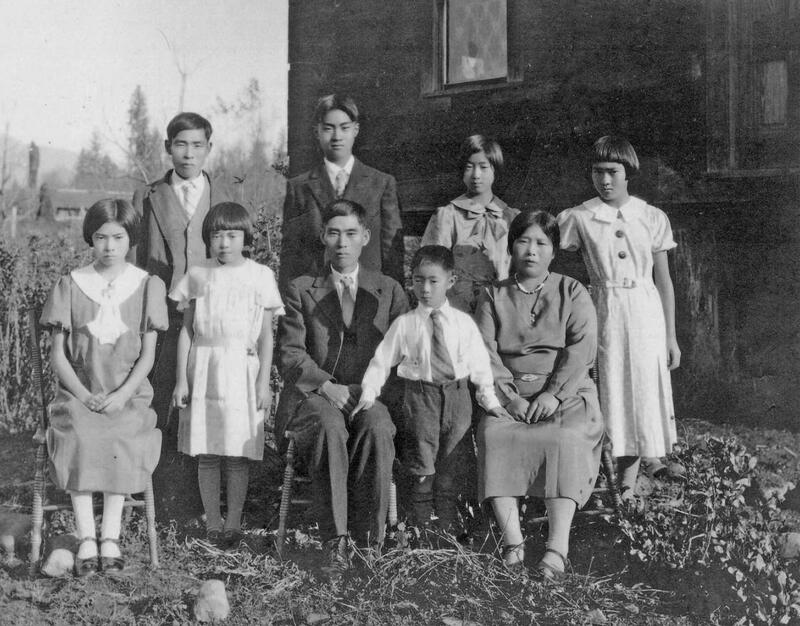 The Matsuoka family on their just-cleared berry farm in Haney, British Columbia, prior to the Second World War. The author’s mother, Ritsuko is in the back row, far right. Source: author’s personal collection. This is the third in a series of posts originally presented as part of a roundtable entitled “What’s the Use of History? Citizenship and History in Canada’s Past and Present,” held in Toronto on October 16th 2012. The event was organized by the People’s Citizenship Guide Project. As a contributor to this series on citizenship and history in Canada, I wish to offer some reflections on citizenship and its meaning — through the eyes of a Japanese-Canadian woman of working class origins. I am a Sansei (third-generation Japanese Canadian), born and raised in the west end of Toronto. I grew up in the 1960s. My Nisei (second-generation) parents were born in British Columbia (BC), where they lived until the events of the Second World War. Following the war, and to a large extent because of the wartime events, my father spent most of his adult life as a taxi driver for the Diamond Cab Company. From the time that she arrived at Toronto’s Union Station, after a long train trip from Rosebery, BC, my mother made a living cleaning homes and taking care of children of upper-middle-class families in the affluent neighbourhoods of Rosedale and Forest Hill. Both of my Issei (first-generation) grandfathers immigrated to Canada from Japan in the late 1800s, first stopping to earn wages by doing agricultural labour in Hawaii. My mother’s mother and father’s mother both came to this country as Japanese picture brides. Prior to the war, they spent their lives in Canada raising children, cooking, maintaining the household, working on the family farm, and doing seasonal cannery work. The author’s father, Ross Tatsuro Sugiman in London, Ontario where he was sent to perform low-wage labour, after being released from a POW camp. Source: author’s personal collection. My reflections on citizenship and the nation are very much a product of my family’s historical experiences. And over time, these family experiences, now embedded in personal memory, have intermingled with the memories of the dozens of other Nisei women and men that I have interviewed over the past decade and a half, as an historical sociologist. The history that I have reconstructed from public documents and personal memories is but one of many public historical accounts of the Issei, Nisei, and Sansei. But the history that I have narrated raises brutal truths about the meaning of citizenship in Canada. The history of Japanese Canadians is one of violation, persecution, loss, racism, and exploitation. It is a history that is not isolated, not one discrete tragic chapter in our country’s otherwise unblemished past. Moreover, our history has an enduring quality; it has been transmitted across generations and in many ways, it is still being lived. In the face of these violations and losses, many Japanese Canadians continue to feel insecurity, self-consciousness, and sometimes, self-doubt. They also remember survival, composure, years of coping, perseverance, loyalty and friendship, and nationalism, strongly voiced. My interpretation of Japanese Canadian history, moreover, is one in which citizenship, at a particular historical moment, suddenly seemed to mean nothing. Yet, at the same time, paradoxically, it grew to mean everything in the lives of persons of Japanese origin. 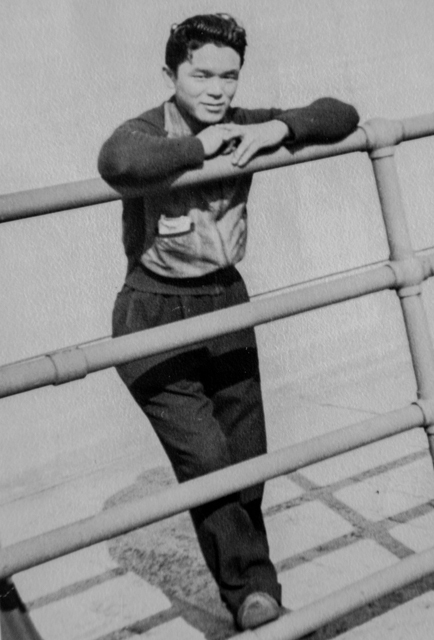 This seeming contradiction was perhaps most acutely felt by the Nisei, who were born and raised in Canada, yet who bore the physical markers of “Japaneseness:” narrow, slanted eyes, black hair, and relatively short in height and small in stature. The Nisei lived with their Japanese-speaking Issei parents. They attended Hakujin (White) public schools all day and (often reluctantly) went to Japanese language school afterward. They ate baloney sandwiches in public, and rice, miso soup, and shoyu-covered chicken in the privacy of home. How did the Federal Government and British Columbia politicians define citizenship for Japanese Canadians during the Second World War? Anti-Asian sentiment was strong and unabashed in Canada in the decades leading up to the war. People of Japanese ancestry were denied the franchise, entry into many occupations, professions, educational institutions, clubs, recreational establishments, and residential neigbourhoods. However, racism took on a new dimension and its impact on the community intensified dramatically when Japan bombed Pearl Harbor in December 1941. Days after the bombing, with claims that “all persons of Japanese racial origin” posed a threat to national security, the Canadian government closed down Japanese-language newspapers, impounded fishing boats, and began plans to forcibly uproot 22,000 persons “of the Japanese race.” Seventy-five percent of these people were Naturalized or Canadian-born citizens. Women, children, and some men were relocated to ghost towns. Men who displayed even mild resistance were incarcerated in Northern Ontario, behind barbed wire as prisoners of war. Families were divided and property was confiscated and later sold without due compensation. 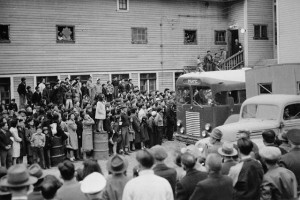 Fearful, angry, and confused, approximately 10,000 Japanese Canadians signed up for expulsion. Many people signed the repatriation forms simply because they were apprehensive about facing the unfamiliar and racially hostile terrain of Central Canada. Not surprisingly, a large number later changed their minds. Yet by 1946, roughly 4,000 individuals had already been deported (2,000 of these were Canadian-born; one-third of the 2,000 were dependent children under the age of 16). The Government did not allow Japanese Canadians to return to the “protected zone” until 1949, roughly four years after the war’s end. They were not granted the right to the federal vote until 1948, and could not vote in the province of British Columbia until March 1949. These shameful if not violent acts in our social and political history point to the shifting meanings of citizenship; they illustrate the ways in which the rights of citizenship may be manipulated to suit political interest and ends. Our history demonstrates the malleability of the concept; the weight of citizenship contingent on the racial or ethnic background of the citizenry. And I’ve been living here, quietly, beside you, for years, just waiting for Tojo to flash me the sign. There. That’s it. I’ve said it. Now can I go? I recite this passage as a conclusion to my thoughts because it has resonance to me, as a Sansei. It speaks to me of the enduring impact of the wartime internment on the Japanese Canadian psyche, and the forced separation of one’s genuine self from a fabricated self – a shell that one wears in order to validate dominant constructions — perhaps a cost one bears in order to live in the nation, with citizenship rights, albeit without becoming a full Canadian. The Japanese Canadian community has suffered property losses, lost jobs, and diminished educational opportunities. Families were divided, some never reunited. Yet when we listen to the stories of the Nisei, notwithstanding their remarkable resilience, we also notice an enduring vulnerability, disillusionment, and calm anger. Over the many decades that have passed since the internment, life has gone on for Japanese Canadians. But for many, citizenship remains somewhat precarious and national loyalty is something that people continue to provide proof of. One Nisei woman that I interviewed many years ago told me a story about the times that she, as a young woman, had to stand to our national anthem. She recalled that as she listened to “O Canada,” all she could think of was the hypocrisy of the nation. She was a Canadian citizen. Nevertheless, she was uprooted from her home and labeled an ‘enemy alien.’ This now elderly woman told me that she is still unable to hear “O Canada” without shedding tears. After I left her home, I reminded myself that the song did not become the official national anthem until 1980. At this point, I realized that what this woman was telling me was not a statement of historical veracity. Rather, she was letting me know that she remained disappointed in her country; for her, citizenship was not trustworthy and her country had betrayed her. She was not delivering this message to me alone. Rather, this Nisei woman wished to communicate it to a wider audience, to those whose families have lived in this country for generations, and to new citizens who, though new to Canada, carry the weight of our country’s past. Pam Sugiman is a Professor and Chair of the Department of Sociology at Ryerson University. She has been a member of the National Executive Board of the National Association of Japanese Canadians and a past President of the Canadian Sociological Associaton. She has written extensively on memory, oral history, and the internment of Japanese Canadians and is currently researching the memories of working-class women in various parts of Canada.